A friend of mine asked me to hold a workshop/class at her new home. She recently moved to Deltona, Florida with a great view of Lake Monroe. There were a total of six of us and we had a great time visiting and making cards poolside by the lake. Here are the cards we made and a picture of the group, of course I’m the one behind the camera! She’s planning some renovations to her home and we can’t wait to go back to visit and stamp! 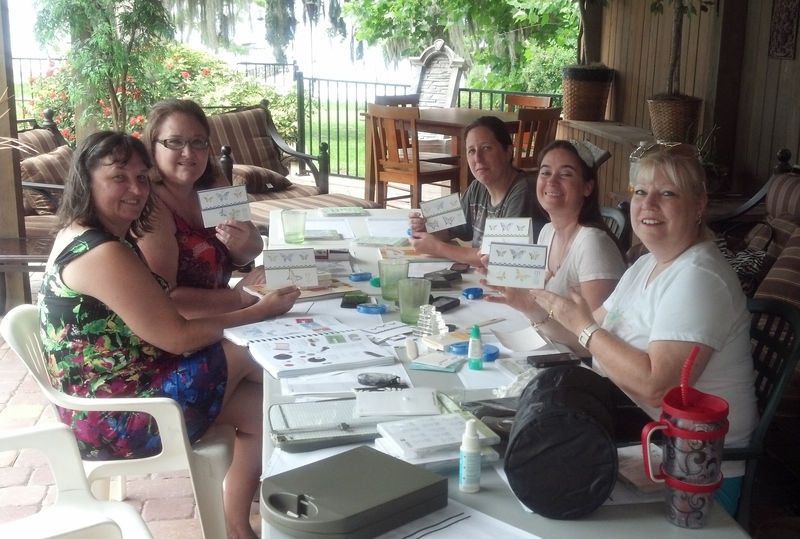 From left to right, Brenda (hostess), Vicki, Sarah, Holley and Karletta. I received a birthday card from Michelle D and loved it so much that I used it for the class. Thanks Michelle! Here’s another version of the card. 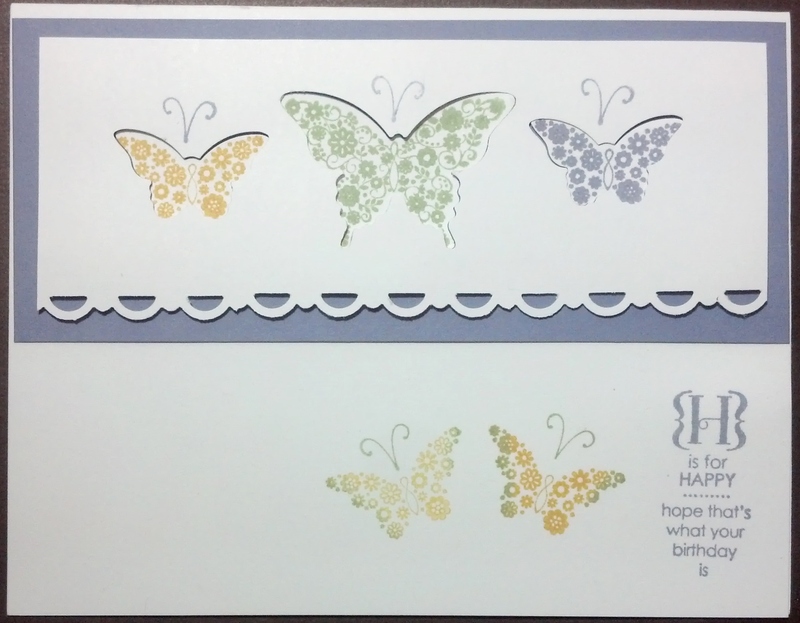 I used the following punches Bitty Butterfly (129406) and Elegant Butterfly (127526). 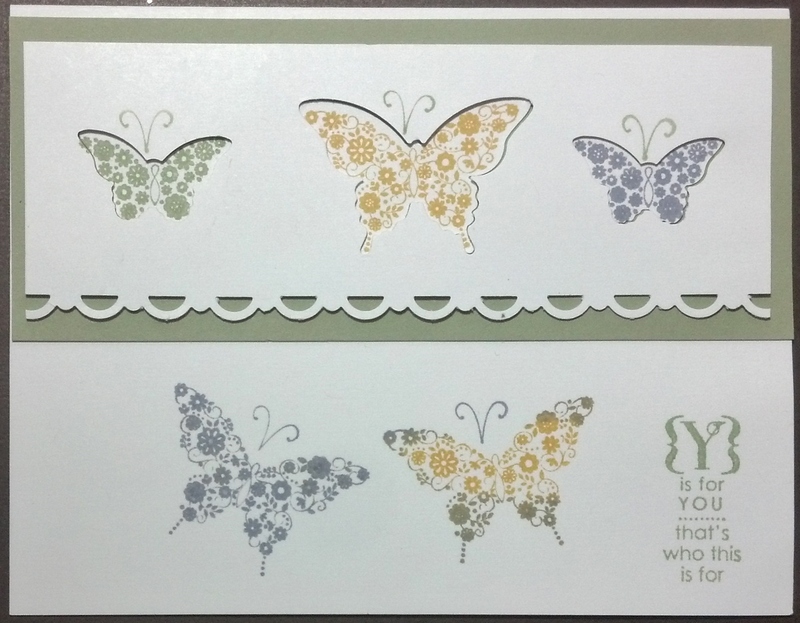 Stamp sets: Papillon Potpourri and Occasions Alphabet (123598) which I love! It has an occasion for every letter. 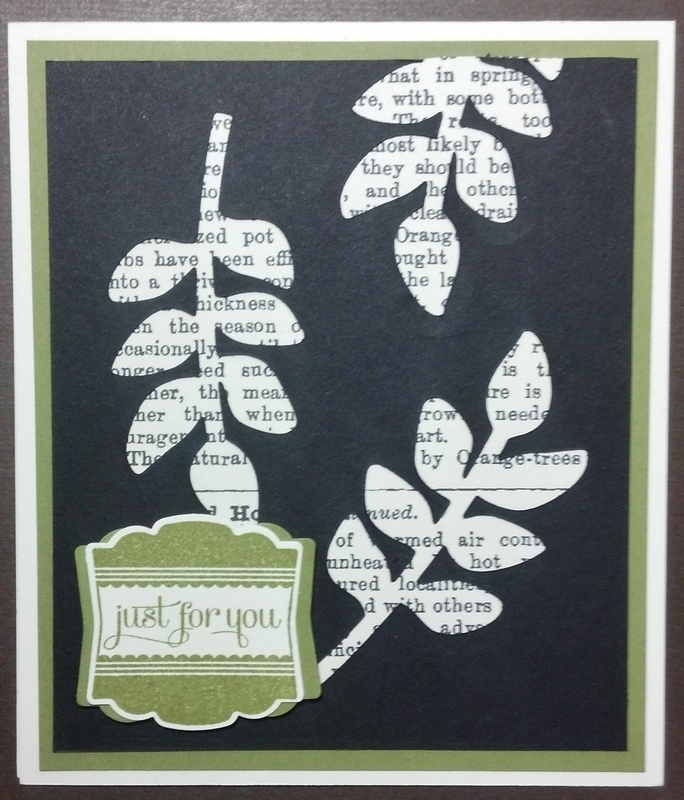 This card was inspired by Linda Heller’s Stamping School. I used the leaf framelit from the Secret Garden set (129372. First Edition Designer Series paper, Artisan Label Punch (130920), stamp sets: Label Love (130622) and Amazing Family (129192) for the inside of the card.